European Union expresses serious concerns over Trump announcement on Jerusalem, warns of repercussions on peace process. The European Union on Wednesday expressed “serious concerns” over the announcement by U.S. President Donald Trump on Jerusalem and the repercussions it could have on the prospect of peace. “The EU position remains unchanged. The aspirations of both parties must be fulfilled and a way must be found through negotiations to resolve the status of Jerusalem as the future capital of both states,” said the bloc’s foreign policy chief, Federica Mogherini, in a statement. “The EU and its Member States will continue to respect the international consensus on Jerusalem embodied in, inter alia, UNSCR 478, including on the location of their diplomatic representations until the final status of Jerusalem is resolved,” she added. “The EU calls on all actors on the ground and in the wider region to show calm and restraint in order to prevent any escalation. The focus should remain on creating conditions for direct and meaningful negotiations that can resolve all final status issues. 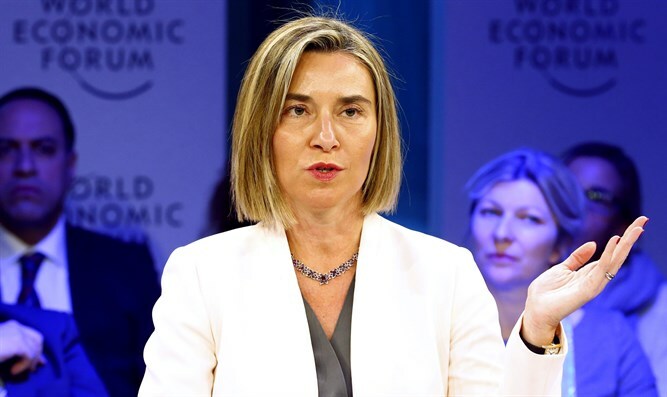 The EU stands ready to support this process and will continue to engage with both parties and its regional and international partners, including within the Quartet, towards this end,” stated Mogherini. “The EU reiterates its firm commitment to the two-state solution and to its existing policies, as set out in its successive Council Conclusions. A negotiated two-state solution, which fulfils the aspirations of both sides, is the only realistic way of bringing the lasting peace and security that both Israelis and Palestinians deserve,” her statement concluded. British Prime Minister Theresa May said the British government disagreed with Trump's decision, saying it was "unhelpful" for peace efforts. The Czech Republic, however, expressed a different stance and, hours after Trump’s announcement, said that it too recognized Jerusalem as Israel’s capital.